If you are satisfied with our services and have found what you’re looking for with Sharm El Sheikh Real Estate, please contact us and Include your testimonial with the list of testimonials on this page. We would like to thank you for the manner in which our Villa was sold. The friendly methods used were conducive to both parties being at ease and an element of trust was established. The Legal elements were also taken care of professionally and with less stress than was anticipated. I would highly recommend your Agency to any prospective sellers or buyers. Thank you Sharm El Sheikh Real Estate for helping us finds our new home. The team was very professional and worked hard to get us the best deal in the market. We recommend Sharm El Sheikh Real Estate to anyone looking for a reliable and trustworthy real estate company. They for sure can deliver what they promise. We wish you more success and keep the good work. Tarek and the team have been such a support in marketing our property. 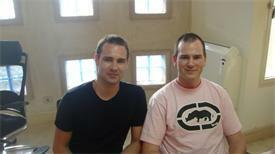 They have even helped us over and above the duty sorting out all particulars. Today we have sold our property with ease. The team made business easy. Thank you Mr.Tarek you were very helpful and professional at helping us getting a nice villa in a nice area. Also gave us a great deal as well. We had a great 2 weeks vacation managed by Sharm El Sheikh Real Estate. Very nice modern new and clean property at Golf heights. We purchased our properties through Sharm El Sheikh Real Estate in 2006. They managed & rented our properties since then. When we decided to sell, we asked Sharm El Sheikh Real Estate and they were able to sell our properties very fast. 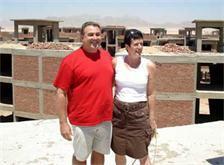 We always found Sharm El Sheikh Real Estate reliable, very helpful, and trustworthy. We recommend Sharm El Sheikh Real Estate to everyone looking for professional services and great offers. Thank you, Sharm El Sheikh Real Estate for helping us with our purchase and all the steps till received our keys. Big Celebration. I sold my property through Sharm El Sheikh Real Estate. Very professional prompt & trustworthy agency. I do recommend them highly no flows in their services. We are impressed by Sharm El Sheikh Real Estate how they handled our interest to buy a property from the first day till we finalized the deal & moved into the property; we did have a lot of inquiries that all were met followed up to our satisfaction. Highly recommended agency & very professional. Sharm El Sheikh Real Estate have been very professional in their sale of my property. They have been unavoidably helpful at each stage of the selling process and I would recommend them unreservedly to everyone wishing to market their property for sale. I recently purchased a new home with the support of Sharm El Sheikh Real Estate. I didn’t want to post the testimonial until the day I receive the contract because I wanted to share the complete experience. The process started with a phone call to Sharm El Sheikh Real Estate’s office, when I had one of the most professional conversations with the sales coordinator, all the questions were to the point, demonstrating a clear sense of professionalism in the field. From the moment I hung up, I instantly stopped calling other agents, as I knew that this is the exactly the kind of organization that I would want to do business with. Sharm El Sheikh Real Estate’s agent’s attitude was nothing less professional than the sales coordinator’s, every time we had an appointment for viewing, he was never late even for a minute. Punctuality was a trait that supported my decision to have Sharm El Sheikh Real Estate as my one and only trusted agent. After the conversation with the sales coordinator and the agent, it was evident that we will waste no time viewing properties that do not suite my needs, and within a few days, I was able to settle on the property that fully satisfied my needs. From the date of my confirmation, and throughout the complicated process of signing the contract, Sharm El Sheikh Real Estate’s agent never made promises he can’t keep, and made sure that I am fully aware of the whole process and provided me with all the necessary details about the deal, no hidden costs, with full transparency and honesty. During the process of completing the paper works, the sales coordinator was updating me regularly about each step taken towards the completion of the papers, which gave me a great sense of security that I am in good hands. After I moved in to my new home, one of Sharm El Sheikh Real Estate’s team members provided me with a complimentary advisory session, introducing me to the nearest services in the area, and well trusted technical team to handle any maintenance issues in the apartment. 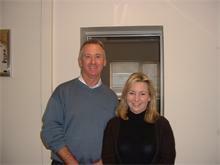 Which is something that is rarely provided by other real estate agents in the area. The objective of the advisory session was to make sure that Sharm El Sheikh Real Estate is not only a real estate company, but a partner that saves no effort to help me settle in my new home. Last but not least, I have to mention Sharm El Sheikh Real Estate’s management is one of the most professional managements I dealt with since I came back to Egypt, and for that, I would like to thank Tarek Al Saady and his awesome team for being extremely worthy of my trust, and for always meeting and exceeding my expectations. And because of that, I am grateful that I made the right choice, and as long as I am in Egypt, Sharm El Sheikh Real Estate will always be my one and only well trusted agent. We would like to thank all the staff at Sharm El Sheikh Real Estate for their support and help in the purchase of our property. Tarek and Tereza are both professional and helpful and speak perfect English. We would both like to thank them, and all of the staff for the handling of our purchase. We highly recommend this company. We just sold our Villa with the help of Sharm El Sheikh Real Estate and we are very satisfied with the services and support. The Company is very well introduced in the national and international market, competent, very friendly and helpful staff is always available on our sides. The owner Mr. Tarek is very friendly, helpful and used his large national and international network to mobilize the buyers’ market, even in very difficult economic situations and times in Egypt. We recommend strongly and warmly the company for selling and buying property in Sharm El Sheikh. We wish all the best for the future and quick recovery in Sharm and Egypt. I bought an apartment from Sharm El Sheikh Real Estate many years ago, and I recently sold it through them, highly recommended for the their remarkable services. Firstly the service you provide is excellent, you have kept me informed every step of the way regarding our purchase of our loft apartment. You have collected us from our hotel, driven us to look at all the properties we wanted to look at and meetings with the interior designer. You have also given us some very good advice in addition to this. The added value you have given us regarding a lawyer and interior designer has been of great help in registering the apartment and getting it ready for occupation. I would not hesitate to recommend your company to anyone wanting to purchase a property in Sharm and hope to do so to show our appreciation, for all your help. We hope to purchase another property in Sharm in 2016 and would certainly use your services for this. I would like to show my sincere gratitude to Sharm El Sheikh Real Estate in this testimonial for their hard work during my purchase at the Moona Resort. I cannot praise Tarek enough for his total dedication, always finding time to accommodate me when I wanted to visit the development of which I did several times over the years. Each time I visited Sharm he collected me from my hotel and I was taken to the resort. I was shown around the property and introduced to the developer, who kept me informed on the progress of the work taking place. There was several delays with the handover, mainly due to the ‘Egyptian Revolution’ and the fact that the developer wanted to redesign the resort to make the layout better for the owners at no extra cost to us and during this time Tarek and Tereza kept me informed by e-mail on the progress by sending me photographs of the continuing work and this kept me reassured throughout. The property has now been handed over and I am extremely happy with the work inside and outside of which is to a very high standard, the quality of the materials used such as tiles, doors and windows are just fantastic! Tarek assured me of the developer from day one by informing me of the other projects that they had completed, and I’m very glad I placed my faith in him. I have now purchased the furniture package, again another recommendation by Tarek, who introduced me to the designer. We all spent time at the apartment and talked about what could be done in the kitchen, bathroom, bedroom and living areas. I agreed with the designs and was told that everything would be complete in 6 weeks, which was surprisingly fast. I have since received photographs of the some of the work and it looks truly amazing, I am very impressed! We found Tarek and all the office team very friendly, helpful and they genuinely wanted to cater for all our needs and budget we had set. We were picked up from our hotel and taken to view our choices of properties, Tarek even took us on a duty free shopping trip during this. We would definitely recommend the company to anybody seeking a professional and friendly real estate agent in Sharm El Sheikh. What a great office team. Finally, many thanks Tarek, Tereza and the rest of the team. 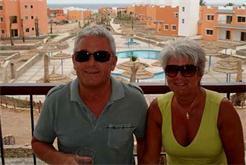 Lynn & Mel Walmsley, The View Resort, Nabq Bay, Sharm El Sheikh. We brought our property in Sharm El Sheikh about 8 years ago and Sharm El Sheikh Real Estate guided us through the whole procedure faultlessly, and have since managed and let out our apartment. I have been been very impressed by them, even when things have gone wrong it has been dealt with quickly and professionally. I will not hesitate in using them again. It would be my pleasure if you would like to post this as a testimony although I have added a little more as I am really impressed with Mr Kafafy the developer too. I had a great experience buying from Sharm El Sheikh Real Estate and I always found their team professional, knowledgeable, personable and who nothing was too much trouble for. 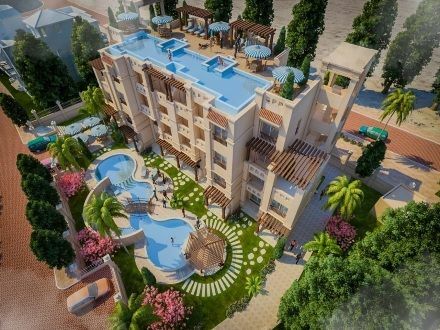 I bought off plan and Sharm El Sheikh Real Estate kept me updated about the progress of the development so I was very happy when I was informed that the apartment was completed ahead of schedule which quickly lead to a very smooth hand over from yourselves of the apartment that I adore. I chose to use the interior design company that you recommended and I was thrilled with the high quality, solid furniture that they produced. I love my apartment, The View and the way that the polite staff keep the gardens, the grounds and swimming pools immaculately presented, I love Nabq Bay and the way it progresses and changes every time I visit and of course I love the sunshine and charm in Sharm El Sheikh and being English the cost of living compared to home is very attractive too so all in all highly recommended. I had a very good experience with Sharm El Sheikh Real Estate and buying a property through them is easy and straightforward we highly recommend them. We can only say that Sharm El Sheikh Real Estate has provided the best service possible and we nothing but gratitude and thanks for the team there. Since our apartment was finished in the Sharm Bride complex they have constantly had it rented out for us generating income. We feel confident that this will carry on in the future. Thanks to everybody for giving us piece of mind and a fantastic service. 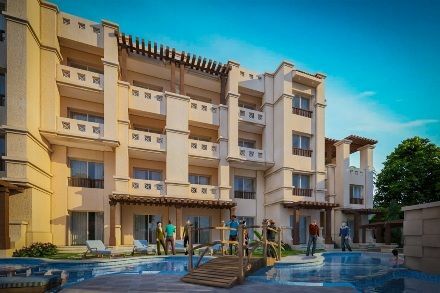 I have bought three apartments from Sharm El Sheikh Real Estate and I am really happy with my investment. I sold one of them and got a good profit. One of the two apartments I rented and the second one soon to be. The staff is professional and polite. I purchased my apartment off plan in 2006 through Sharm El Sheikh Real Estate . Without the support of all Sharm El Sheikh Real Estate Team all my nightmares would have come true. I would therefore would like to thank each and every person in the team for prompt replies to my queries and support via phone and emails till I did my handover. I have bought 2 Top Floor Apartments at Sierra Resort from Sharm El Sheikh Real Estate. Sharm El Sheikh Real Estate has been more than helpful. Any problems I have had he has been on top of it and solved the problem very quickly. I feel very comfortable to be envolved with Sharm El Sheikh Real Estate as I am completely confident that Sharm El Sheikh Real Estate has all my interests plus all his clients at heart. I would have no hesitation in recommending anyone should they wish to purchase property in beautiful Sharm El Sheikh from Sharm El Sheikh Real Estate. I have had the privilege of knowing Sharon Holder since 2009. 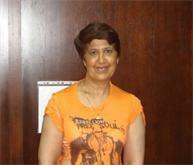 She is the property manager for Sharm El Sheikh Real Estate and she manages my rental property. I have a one bedroom flat at Sierra Resort and I have been so happy with all the preparations and arrangements Ms. Holder has made for me. She goes above and beyond the call of duty and has an impeccable way of communicating with people from a variety of cultural and linguistic backgrounds. She also is an expert problem solver who takes immediate initiative to solve problems in an efficient, cost-effective and brilliant manner. If it weren’t for Ms. Holder, I might not feel as comfortable as I do renting out my property from half way across the globe. But I have complete confidence and trust in her and Sharm El Sheikh Real Estate. As a result, I have peace of mind about owning property in the beautiful Sinai Desert, located in the most glorious country on Earth – Egypt! Wow! My apartment is rented again. Having purchased my beautiful apartment in Sierra Resort at Nabq Bay I was a little over protective, like a new parent, at first. The prospect of renting to tenants seemed very daunting. However the rental department at Sharm Real Estate Office reassured me that all would be well, that they would take care of everything and true to form, indeed they have. A delight to do with business with. I leave it completely in their very capable hands. They maintain constant contact with me over ever procedure through friendly emails. They draw up the contracts, choose great clients, make sure the property is cleaned upon their departure and of course deal efficiently with the money side of things. I would reccommend their professional conduct without hesitation. Through them I look forward to a rather prosperous year. was undertaken from Sharm El Sheikh Real Estate. 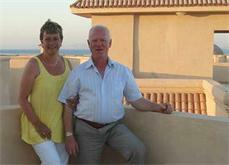 Mark Lewis and Sharon Rees from sunny Wales. Myself and my wife were delighted to receive the keys to our apartment during our latest trip to Sharm in April. Whilst it has been a long wait the final results have been worth waiting for. The views from our roof terrace are nothing short of spectacular. The build quality of the apartment has also exceeded our expectations. Whilst the building completion date may have been delayed by some 18 months and sometimes tested our patience, we understand that a lot of the reasons for the delays were outside the control of the developer and estate agent. Since we first met with Tarek at Sharm El Sheikh Real Estate some 4 years ago the support we have received from him and his team has been first class. They have always gone out of their way whenever we have requested their support. "Back in 2005 we read an article in one of the weekend national UK papers stating that now was a good time to invest in Egypt's Red Riviera resorts, as it was a rising market and would be a good investment to get involved in and it was anticipated that the prices would continue to rise over the coming years." "Having spent several holidays in various resorts in Egypt, enjoying superb weather and the friendliness of the Egyptian people we decided to embark on finding a suitable property to purchase. Tarek and his team at Sharm El Sheikh Real Estate came over as being a very suitable and reliable agency to deal with." 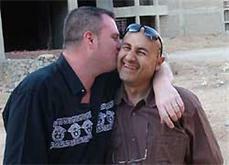 "Although at times our top floor apartment at the Sierra Resort seemed to be progressing rather slowly we were at all times kept informed of progress (either by us telephoning the Sharm office or by e-mail from them), and when we finally took possession of the apartment early June 2008 we found not only Tarek's team but also the developers teams on site only too keen to help out with any queries and any snags were quickly sorted out. " "Now normally within 12 hours of leaving our UK home and arriving at the door of our second home at Sierra we can enjoy a little piece of all year round sunshine and Egyptian hospitality. Well done to Tarek and his team for all their help and advice. Best regards Andy and Lynn Snow. See you in the first week of September." We are Belgian clients and proud owners of one bedroom apartment at Sierra Resort Nabq Bay in Sharm El Sheikh. We bought the apartment in September 2007 from Sharm El Sheikh Real Estate Company. On 23rd of June 2008, my family and I visited our apartment for handover accompanied by Mohamed El Sayed guiding us to handover and I have to say that the resort looks in real life much better than on the plans. From the beginning till the end we’ve been in touch and have had always help if needed from the whole team. That for we’re very thankful and appreciate all the work. We’re very happy that we’ve chosen Sharm El Sheikh Real Estate. 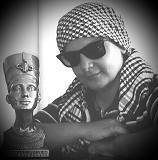 For any of my friends I’ll recommend your company to buy a property in Egypt. Congratulations to you and your whole team. "Summer 2007 - cold wet and gloomy in England, with no sign of any sunshine on its way. Sharm El Sheikh jumped out at us from the glossy holiday brochures and in August 2007 we arrived in Sharm as the sun was setting over the mountains and the warm air enveloped us as we stepped off the plane. The beauty of the city impressed us immediately and we were thoroughly enjoying every aspect of our holiday, watching the sun rise over the sea, the sun setting behind the Sinai Mountains, camels wandering in the desert, the bright lights of Naama Bay." "One day we got chatting to someone who had purchased a property in Sharm through Sharm El Sheikh Real Estate. We liked the sound of this and telephoned the office to arrange an orientation tour and were shown the site of Sierra Resort. Everything was explained to us in detail and we were given several options for layout and location of apartments. After some thought we made the decision to purchase a property before we returned to the UK. Sharm El Sheikh Real Estate handled everything efficiently for us, answered all our queries and gave us honest and frank opinions which we valued. They were always available by email, text message, or Skype, to answer our questions. Pictures of progress were posted on their website regularly and we watched the complex take shape. Six months later, in February 2008, we returned to the Sierra Complex and to our delight our apartment was nearing completion, we had tiled floors, a proper bathroom and a front door! We met with Mr Tarek Sokkar, the developer, whose enthusiasm for the project was clear to see. Our dream was finally becoming a reality and in a little over six weeks time, we will have the keys to our apartment. When the days become dark and cold in England we will think of our sanctuary in Sharm El Sheikh and take comfort in the fact that we have our apartment to escape to. We have also made contact with other families who have purchased in Sharm, it is a growing community and I’m sure everyone feels as excited as we do in having their own piece of paradise in Sharm." "Our thanks go to all of the staff who have assisted us from Sharm El Sheikh Real Estate, your professionalism, honesty and reassurance have been so helpful to us." "I had a good experience with Sharm El Sheikh Real Estate, and I would like to share it with you." "During a summer holiday in Egypt 2005 I decided to purchase a property over here. Back in London I started to make enquiries and visited the Overseas Property Show where I made my first contact with Sharm El Sheikh Real Estate." "In October 2005 I returned to Egypt for a short visit to view a possible location, the Sierra Resort in Nabq. Free accommodation was arranged for me and I was taken to see the Sierra project. I stood on what appeared to be a wasteland of rock and sand and was shown a spot where my apartments, with sea views, would be built. It took a lot of imagination! Back at the office the papers were prepared and I was told that my apartments would be completed in August 2007 (oh really!!!). Deposits were paid and I returned to London. Over the following months contracts arrived duly signed and I was kept fully updated by e mail, which included photographs, of the ongoing construction work." 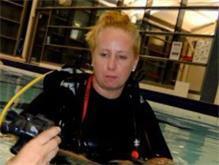 "It is now June 2007 and I have just been taken to see the project again. The progress was astonishing, this time I stood on my roof terrace and enjoyed the spectacular view. Although not yet complete I am assured the apartments will be ready for handover in September 2007. 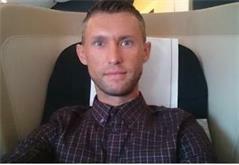 Having now had dealings with Tarek and his team for over 18 months I am confident that this timescale will be reached." 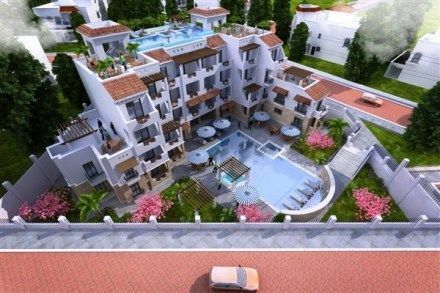 "I am in the process of selling one of the apartments, this is being arranged by Tarek and his team, again I have every confidence in their professionalism and if all goes to plan I will make a small profit." "Having been in contact with Tarek and his team over the last 18 months I now consider them to be friends not just business associates."